I try to think of the word and mind place of the Bodhichitta when things break down in me. They are the moments when our capacity to care or love is compromised by some old broken part of ourselves that was unknown to oneself until it suddenly appears. I have been testing the limits of my ability to forgive; this is graduate level bearing-witness-to-one’s-past-without-taking-it-personally. My sad childhood was only one consequence of the bad match between my parents and their deprived childhoods. How we let go and what we hold onto are the two most significant measures of how we move through the time we have on earth. I have been helping my father go through reams of dust-laden financial statements and even the 1965-circa electric can opener. It still turns, but I wouldn’t bet on it opening a can. There were moments when my father’s inability to let go of his stuff was bittersweet, exasperating and tender. When I was cleaning out his closet I even found an old school blanket from my high school graduating class. It was covered in inches of dust like most of the rest of the apartment that I cleaned out over the weekend. Years ago, when I left for college and our house had been lost to foreclosure, he got rid of everything that had accumulated through my childhood. I was never given the chance to sort through and choose what to keep. Seeing the blanket, one thing that my father kept because it was useful to him, and my bed frame, were the only evidence of my childhood, except for a small variety of old photos, I was suddenly bereft by all the important things that my father has never been able to hold onto and all the petty, small details that have filled the space where connection might have been made. 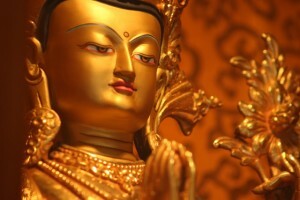 Bodhichitta is the moist place right behind where your heart breaks. When you can feel the pure sadness of it, the hardened storyline softens and allows your suffering to become tenderness.The story is just sad and it isn’t anyone’s fault. Often you don’t see this place until something pierces your heart, like my old high school blanket did tonight. Tenderness catches me off guard around my father and we still are not very comfortable with the tenuous connections that come out of it. Still we made some gains together, which is at once huge and brief. You only need a moment of Bodhichitta to know you have had it.